Josh Bryant established Victory Construction in 2004 with a simple desire to serve the people of Missoula in the area of residential exterior design and installation. Over his 12 years of running Victory Construction, the company has grown and the vision has expanded.  Josh and the team at Victory Construction are full service general contractors. The team has over 30 years of combined experience in all phases of residential construction as well as light commercial construction. Victory Construction’s passion and desire to serve the people of Missoula and surrounding areas is still paramount. Josh Bryant and the team at Victory Construction are one of the few “in-house” contractors in Missoula. That means the crew is on-site for nearly every phase of construction. You get to know them, change requests and details don’t get lost and there is always a Victory Construction team member available to answer questions. Josh moved to Missoula in 2002 to attend the Missoula Bible Institute, which he graduated from in 2005. He has been involved in serving at the local church he attends since that time. God has blessed him and his wife Rebekah with three beautiful children. Judah, Gabriella and Aviana keep them on their toes and help to keep focus on the things in life that truly matter. Ministering to people in Josh’s local church has helped him to learn to better serve his customers in business. Josh invites you to contact Victory Construction for your next project in the Missoula area to find out what it is like to have the stress taken out of the project you have in mind. Everyone has their faults… There truly is no such thing in building, but its what we aim for on every project. Whether it is being on time to meetings, or seamless mitre joints. We want the project to be flawless, even if that means fixing mistakes on our own time. We see the finished product before we start. Whether you have the exact goal in mind or you would like to sit down and look at your options… Victory will make the vision a reality. Whether it’s a new deck to enjoy the “good life,” a bathroom remodel, an addition, or the custom home of your dreams… this is our CRAFT. From the owner to the “greenhorn,” we are passionate about every project we take on. Our jobs provide more than income, they define our lives. We love what we do, it shows in our work. We want to be the best at what we do! Click here to read what some of our past customers had to say about Victory.